How incredibly frustrating is it to be running late for a meeting, need to print out just a few more sheets to feel entirely prepared, and finding that your printer is stuck? Paper jams are the second most common complaint when it comes to printers, behind how expensive ink is. Some printers shriek at paper jams, some beep, and some give you a pop up on your monitor – but they’re all equally frustrating. No matter how you’re notified of the issue, you probably rectify the situation by yanking the paper out (while giving it some choice words), but that’s not the best way to fix it. 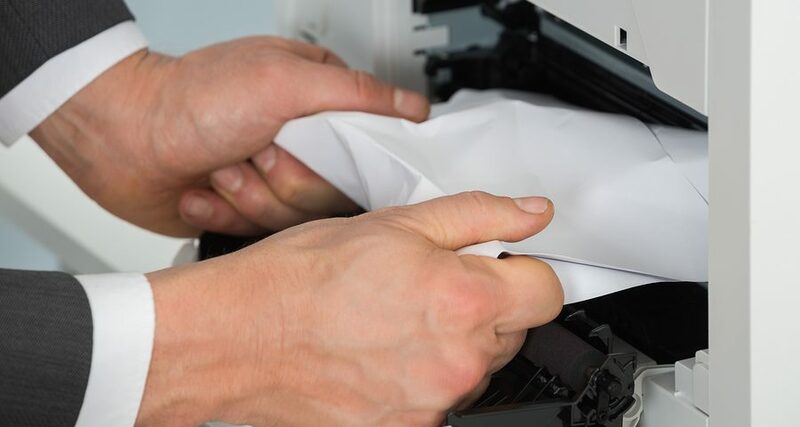 There are common reasons that your printer might be jamming, and simple ways to fix it that won’t leave your equipment damaged. 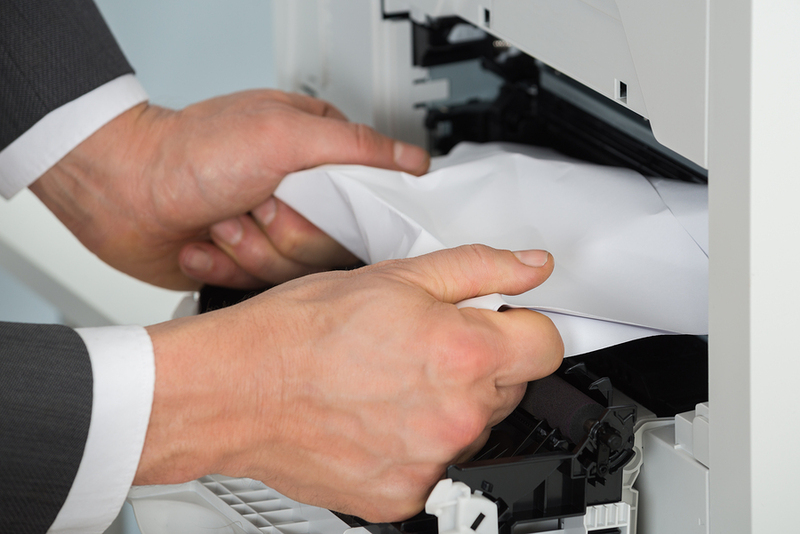 Printers can jam for a variety of reasons, but it comes down to three underlying causes: paper choice, damaged parts, and incorrect loading techniques. Printers are machines, and straightforward ones at that. If you follow the proper protocol from the start, they’ll give you years of service without an issue. 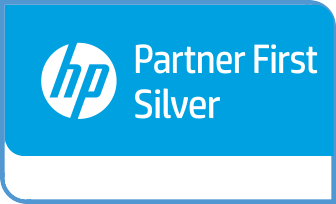 If you have a problem, we’re sorry to say that chances are its user error. We’ll break each problem down, and then show you what you can do to make sure each document prints flawlessly. The first reason we’ll touch on as to why printers jam is: poor paper choices. Yes, keeping costs down is a must when you run a lot of printed materials, but there are some things you shouldn’t cut corners on. Paper comes in many different qualities, and choosing the cheapest option will screw you over in the long run. Cheap paper has fibers which break off, which means that each sheet that runs through your printer leaves behind tiny, microscopic pieces that lodge in your rollers. Over time, these small pieces build up and clog your printer like excessive fat clogs an artery. You can clean it out, but by the time you notice it the damage might already be done. This brings us to the second major jamming cause: damaged parts. The most important part of your printer – the piece that allows each sheet to pass through smoothly – is the roller. Most printers come with multiple rollers, and they feed the paper through the machine a piece at a time. Over time, the rollers wear down (similar to how your vacuum brushes wear down after much use), and don’t feed the paper as well. This is what causes jams. You can stop damage at its source by using a higher quality paper, and you can replace your rollers regularly, but sometimes one of the best fixes to jamming paper is to pay attention when you’re putting it in. Incorrect loading techniques, such as putting multiple types of paper in one tray or loading without the correct width and height guides, will cause it to not flow smoothly from tray to roller. Frayed paper, folded paper, or specialty paper might also be the culprit if you’re seeing regular jams. An essential part of keeping your printer well maintained is to pay attention when loading the machine. Only use one type of paper at a time, use the built-in guides, and stick to what the manufacturer says the printer will run. If you do find yourself in a bind, fixing is relatively simple. Do not grip and pull the paper out willy-nilly, as this causes damage to the machine. To fix a jam, first turn the printer off. Remove the ink and toner cartridges, and gently push the rollers in the direction the paper feeds. With as few obstructions as possible, the sheet should naturally follow the path of the printer. The key is to follow the route of the machine, and not pull against the force. If you gently roll the paper through it’s intended course manually, we can guarantee that it’ll come out without causing any damage to the printer. When dealing with a jam, it’s easy to be frustrated. Keeping calm and working with the machine ensures fewer problems in the future. Should you ever find yourself with an unfixable jam, don’t be afraid to call in an expert. The call to your neighborhood printing supply company will undoubtedly be more cost effective than buying a whole new one!